A black woman met a Bangladeshi man, and they created ‘Blackadeshi’ family! No, this is not a cliche ending of a fairy tale. Instead, it is the story of the living characters; the woman is Mariah Huq, and the man is her husband, Aydin Huq. 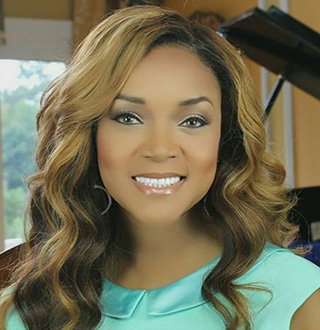 Mariah Huq is in the limelight for her role in Bravo’s reality series, Married To Medicine. In addition to being the star cast, she is the creator as well as executive producer of the show. Apart from the TV gig, she has earned recognition as a personal blogger. The TV star has her hands stretched out into entrepreneurship as the Chief Operating Officer of the children's pajama and decor company, Jewel and Jem and as the co-owner of Cinnamon Girl Diet and Nutrition Brands alongside her husband. Life partners for a reason huh! With fistful things going on in the business, Mariah has been able to garner a lavishing net worth of $4 million on her own; her husband’s share remains confined but, he must have paid his part to afford a luxurious house and lifestyle overall. The Tennessee native was born on 22 October 1978 in Chattanooga. She has gladly taken the surname of her husband, Aydin Huq after getting married. So, her birth name is not known as she preferred to keep it from the public acknowledgment. Before clutching a big success in the entertainment industry, the 40 years old gave a head start to her career as an associate producer at local NBC affiliate WRCB-TV in Chattanooga and later as a host and producer of the lifestyle show, Trends No. 3. She put her double major in business and communications received from the University of Tennessee to use in her career journey. When Differences Bumped Into Love, Mariah Turned Aydin Into Husband! The TV personality wife met the physician husband at a Puff Daddy’s restaurant in Atlanta. They were well aware of their differences; Mariah was belonging from the west and raised in Christian faith while Aydin was coming from the east and religiously a Muslim. But, the differences merely affected the love that sprouted between them. interesting: Donita Rose & Husband: Wedding That Started It, Chances For Divorce? The couple happily tied their wedding knots in March 2005. And, their big day was a revolution on its own; Aydin took a bold move of love marriage- contrary to his family’s tradition of arranged marriage. It’s not every day that you came across someone from another side of the world, from a different culture and raised in a different belief, you fall in love, and you get ready to challenge the faith so that you can set a milestone to your love. But to the Mr. and Mrs. Huq, it has become a story they can pass down to their children for generations. Mariah Huq Nearly Had Twins For Children Number 3 & 4; What Went Wrong? In blissful years of marriage, the Huqs have welcomed two children- daughter Lauren and son Ethan. The children were expecting to have twin siblings when their working woman for the mother was expecting twin babies during November 2014. But sadly, the expected twins lost their lives in the womb when she underwent miscarriage a month later. The twins would have been a wonderful addition to the ‘Blackadeshi’ family. Sorry for the loss. 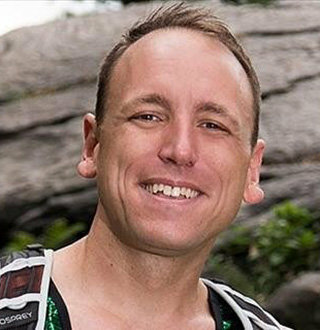 Gael Anderson Bio: Wedding To Andrew Lincoln, Age 45; Rocky Or Rock Solid? David Eason Bio: Family Turmoil With Jenelle Evans, Married Life Spoils?